Heat added. I really could do with a decent gym at an affordable price but these aren't anywhere near me unfortunately. Good if there's one local to you. How often are these deals? Co-incidentally, there was an item about Good Gym (Liverpool area) on this evening's BBC North West Tonight. Interesting, members combine activity/exercise &amp; 'missions' helping with local projects. Heat, OP! Is this some sort of religious group/ initiative? Odd. This does not appear to be a gym at all! It's all about running. In groups. Cold for misrepresentation (of the concept's name, not the op). If anyone has a spare code I would appreciate it can even swap for a meerkat moments code if you'd like one in exchange. can someone message me the code if you are not using it.. many thanks. It’s only offering a free 1 day pass not 3 days? I've had bad experience with this company! To not get bombarded be calls just tell them you're looking for a gym with tennis courts/a pool/something they don't have. They won't waste their time trying to get you to join then. I love deals.... But what's a gym? "Its just a photo for a gym poster, whats the worse that could happen?" Yep, typical corporate marketing con to try and part you from your money. Prices exactly the same, only difference is a giant yellow clearance sticker!! Do people actually fall for this these days? meh - stuff I am looking at as "clearance" is exactly the same price as before. Rakuten is Samsung's spyware and unwanted advertising app which is forced on their Smart TVs. It plays adverts uncontrollably and you can never remove it. Well done Samsung. After 10 years and 4 TVs, I will never buy another one. Just tried, MyVodafone is apparently down but it's probably just an excuse. I bet yours works fine. 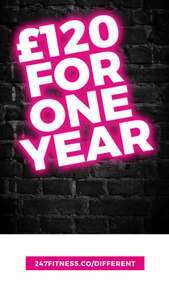 Never miss a 'Gym Membership' deal again! Are you referring to the new Charge 3 or the Versa? We have already established the Versa standard version has Fitbit pay in the UK market; Santander and Starling banks and 1 other which I cannot recall. Oh ok when i signed up yday under a new email address i was only able to push out the date by 1 week. 2 weeks. Normally it's a month, but the code restricts it to 14 days delay. Cancelled existing DD which runs through to end of week and used this offer under a new email address to start next week. Thanks OP. Heat Added. NEW CUSTOMERS ONLY T&amp;Cs: Taking place from 5th - 9th September 2018. A Fitness Festival Pass gives you access to the gym and pool facilities over the festival period only. Only one purchase per person – new customers only. Minimum age is 18 years old. Proof of ID/address is required along with proof of age if under 25. Pass activates on date of purchase. Proof of Purchase must be shown on your first visit to the club. You are required to complete a general health questionnaire on your first visit. Pass is non-transferable and non-refundable. Classes are subject to availability and priority is given to members. There is a charge for towel use. Club Management’s decision to admit or deny a Pass holder is final. That's a great offer, most of them are clean and luxurious, and spacious. The older ones tend to have biggest facilities but worse changing rooms. Fitness mot. If you can touch your toes, you're fit. If you can see your toes, you're fat. If you can't see your toes, you're obese. Cold from me. Edinburgh is 380 miles away from sunny Swindon where I'm based. Since I don't drive I have to cycle every where. I'm quite fit, llocally I am known as speedy sid. But even so if I biked to Edinburgh I don't think I will have enough energy to cycle back let alone do a fitness class. Might just go for a leisurely splash in the pool though. Signed up for this offer and have not been asked for my student ID. They won't check I'm quite certain. Even if they do, I have my NUS Extra card. My brother has never been asked. I doubt they will check to be honest. 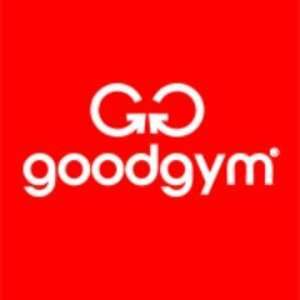 Code for you: WH5GYM486 Code for your friend:WH6GYM397 Just enter your personal details and promotion code in the form below to claim your free two week membership with The Gym. 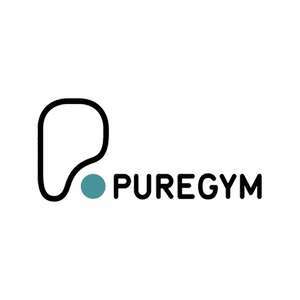 new gym opening in leicester and many other places so there are doing a offer for £5 which is great and the gym looks huge. where will parking be?any idea? Anyone PM me a spare code? Hi can you give me the code as i will be a new user. I woukd really appreciate that thanks. Anyone happen to have a spare code? 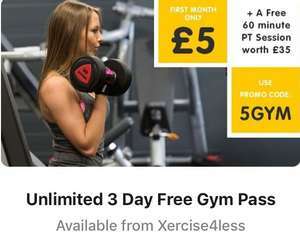 I can't see how they could put you on a contract when it said "Gym Membership in Wembley with 1 Month Free and No Joining Fee @ Fit4Less" But then it is a gym.. Previous deal was only on the 12 month contract. This one seems to be working on no contract. I'm guessing the fact the code starts WEM means it's specific to Wembley. Need a Bromley deal!